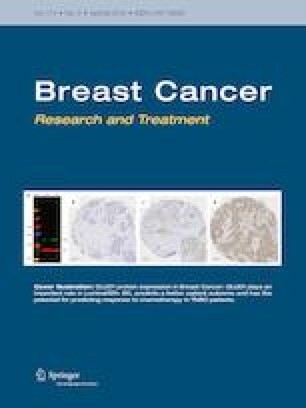 Understanding how differentiation, microenvironment, and hormonal milieu influence human breast cell susceptibility to malignant transformation will require the use of physiologically relevant in vitro systems. We sought to develop a 3D culture model that enables the propagation of normal estrogen receptor alpha (ER) + cells. We tested soluble factors and protocols for the ability to maintain progenitor and ER + cells in cultures established from primary cells. Optimized conditions were then used to profile estrogen-induced gene expression changes in cultures from three pathology-free individuals. Long-term representation of ER + cells was optimal in medium that included three different TGFβ/activin receptor-like kinase inhibitors. We found that omitting the BMP signaling antagonist, Noggin, enhanced the responsiveness of the PGR gene to estradiol exposure without altering the proportions of ER + cells in the cultures. Profiling of estradiol-exposed cultures showed that while all the cultures showed immediate and robust induction of PGR, LRP2, and IGFB4, other responses varied qualitatively and quantitatively across specimens. We successfully identified conditions for the maintenance and propagation of functional ER + cells from normal human breast tissues. We propose that these 3D cultures will overcome limitations of conventional 2D cultures of partially or fully transformed cell lines by sustaining normal endocrine function and growth regulation of the cell populations that comprise intact breasts. Peng Meng and Marica Vaapil have contributed equally to this work. The online version of this article ( https://doi.org/10.1007/s10549-019-05229-5) contains supplementary material, which is available to authorized users. This work was supported by grants from the California Breast Cancer Research Program (21UB-8012, P.Y. ; 17UB-8708, C.V.) and the Avon Research Foundation (L1779, C.V.), and a fellowship (to M.V.) from the Tegger Foundation. De-identified histologically normal breast tissues obtained with informed consent from women undergoing reduction mammoplasties were purchased from the Cooperative Human Tissue Network (CHTN). CHTN operating policies and procedures protect subjects from whom specimens are obtained. These policies and procedures are consistent with current regulations and guidance for repositories from the United States Office of Human Research Protections (OHRP, DHHS). All divisions of the CHTN operate with the review and approval of their local Institutional Review Board (IRB). In addition, the Lawrence Berkeley National Laboratory maintains its own IRB that confirmed that all methods and experimental protocols were performed in accordance with relevant guidelines and regulations.